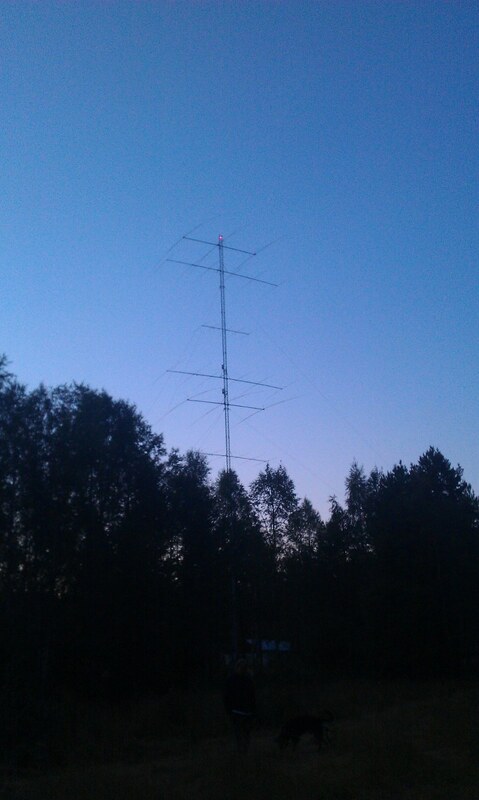 On 40m the current main antenna is a 3/3el monoband stack (SJ2W design) which is sitting at 60/35m height. 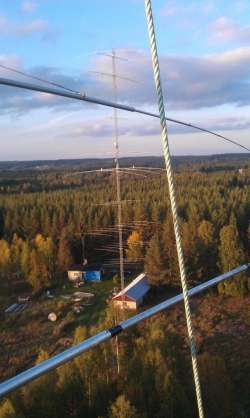 The second antenna system is a 2/2el fullsize monoband stack (SJ2W design) sitting at 41/21m height in the military tower which is rotational. 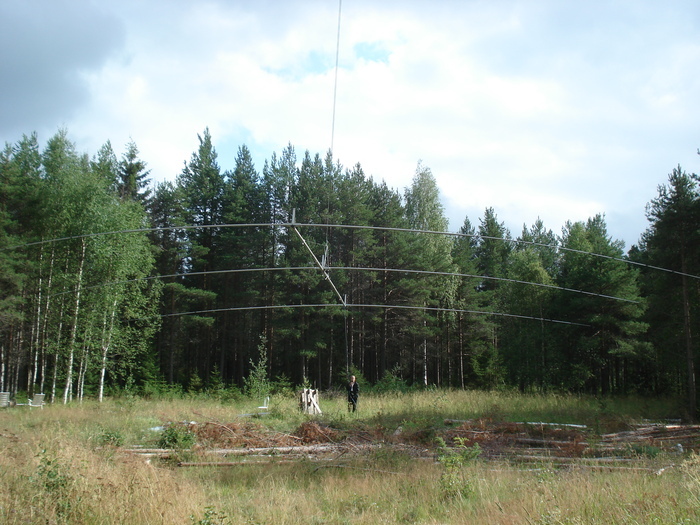 There is also a 4-SQ which is used mainly as an RX antenna and is the freely “rotatable” multiplier antenna on this band, totally independent of the direction of any other antennas. The 3/3el stack is fed with a 7/8″ coax running from the switch room to the stack box up in the tower. After the stack box there is a RG-213 up to the antennas. 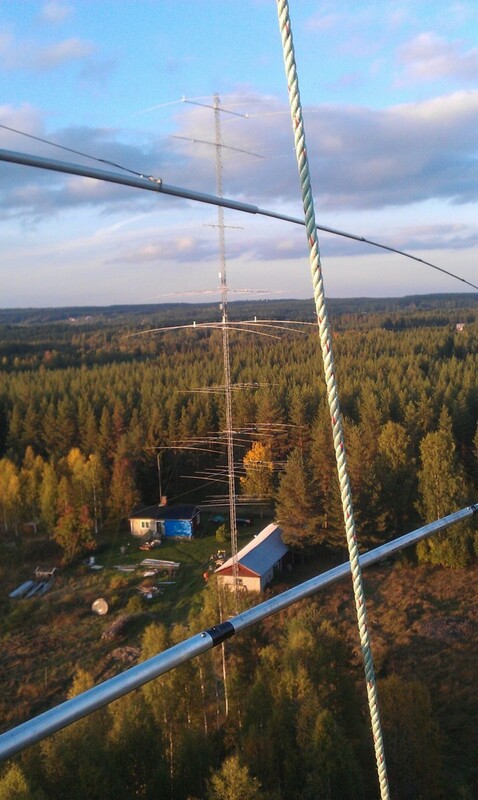 The 2/2el stack is fed with CGT-400 cables down to the stack box and 7/8″ coax down to the tower base. The coax from the tower to the switch room is 1 1/4″ hardline ~120m long. The 40m 4-SQ is located about 170m from the house and fed with RG-17 coaxial cable. 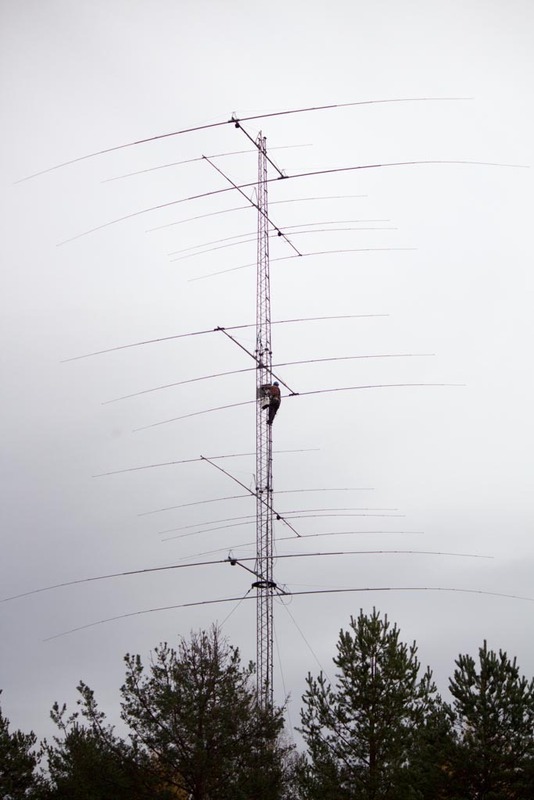 heard loud and strong into California, but with my 100W station, no way to say hi. I have worked with SM/PA3DAT but if I see a brave ham climbing in the tower, I already have fear of heights when I look into a bowl of soup, hi!